The Ruger No.1 450bm using factory ammo took care of business. He went about 25 yards and piled up. Good Luck to those headed out in the morning. 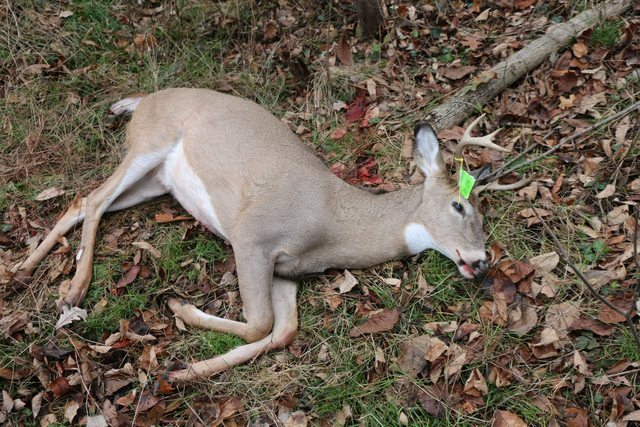 I have tagged out 1 during archery season and this one. Hopefully, it will be a better day weather wise tomorrow. I tagged the one buck I really wanted this year. Tons of trail cam pictures, had him at 68 yrds with crossbow for 15 minutes end of October but he wouldn't move. I couldn't shoot Wasn't ethical to take that shot,starting to rain was gonna rain all that night so I passed. Shot him at 3:55 this afternoon, sat all day was in the blind at 6:00am. 20" outside 9" G2's 115 yard shot he was 40 yards in the woods, 75 yrds of food plots to the woods. I had to thread a needle to make the shot with a my Encore 450 Bushmaster. Using a reload I put together Sunday morning, 250 shockwave bonded running 2580 fps. Through a 26" fluted stainless MGM barrel. Was so happy. Awesome guys! Man. You should see the 450 groups on FB. 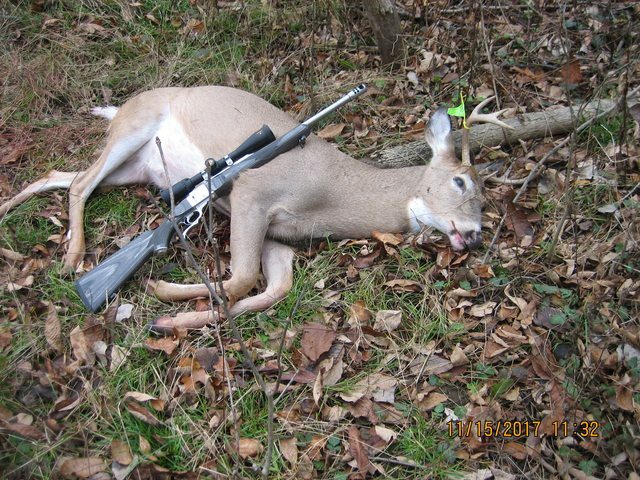 Lots of critters being thumped in Michigan!! Just a heads up guys. Please be sure you post your success stories in the trophy wall section of the forum. Thanks!